Finnvera complies with good corporate governance, and our goal is to ensure transparency at all levels of the organisation. At Finnvera, the goal of good governance is to ensure transparency throughout the organisation. Finnvera’s Board of Directors approves the key policies, principles and guidelines that steer the company’s operations. Finnvera’s operations are guided by the Code of Conduct ratified by the Board of Directors. The Code of Conduct brings together the legal rules and ethical principles to which we are committed and which we follow in all our operations. The Code of Conduct is supplemented by Finnvera’s ethical guidelines that consist of the principles of good conduct, guidelines for ensuring impartiality in decision-making and in the preparation of matters and guidelines on insider information. The Code of Conduct and the ethical guidelines apply to both Finnvera’s employees and the members of the governing bodies. guidelines and procedures for procurement. The State of Finland owns the entire stock of Finnvera. The Innovations and Enterprise Financing Department of the Ministry of Economic Affairs and Employment is responsible for the ownership and industrial policy steering of Finnvera. The Ministry of Economic Affairs and Employment monitors and supervises Finnvera’s operations. The Ministry sets industrial and ownership policy goals for Finnvera for periods of four years. Whenever necessary, these goals are adjusted yearly. When these goals are determined, attention is paid to the Finnish Government Programme, the Ministry’s corporate strategy, the policy objectives concerning the Ministry’s branch of administration, and the goals of EU programmes. On the basis of the goals set, an assessment is made of how well Finnvera has succeeded in promoting, for instance, enterprise, the growth and internationalisation of enterprises, and exports. In 2017, out of the eight goals set by the Ministry of Economic Affairs and Employment, Finnvera reached six and two partially. Risk management is of central importance for maintaining Finnvera’s ability to take risks, managing equities, and for attaining economic objectives in the long run. The goal of risk management, for its part, is to ensure the prerequisites for implementing the company’s strategy. Finnvera’s Board of Directors and senior management are responsible for arranging and organising internal control and risk management. As the business units and Group companies answer for the day-to-day management of business and for risk management measures, they also bear the primary responsibility for internal control and risk management. These risk management measures have been incorporated into the processes of the operating system and are implemented by the entire organisation. Finnvera’s risk control, compliance and other support operations, which are independent of the company’s business operations, support the business units in their risk management and internal control. Risk Control is responsible for developing risk management methods, issuing guidelines for operations, monitoring the Group’s risk position, and for reporting to the Board of Directors and to the executive management. The Ministry of Economic Affairs and Employment commissioned an assessment on the rising demand for public export credits and export credit guarantees, on higher exposures and on the consequent risk to central government finances. The assessment was conducted by an international team of consultants that has solid experience of export financing. According to the international team, Finnvera’s management of risks and responsibilities is at an excellent level in international comparison. Finnvera’s Board of Directors confirms the Group’s risk appetite, the principles of risk management, the policies to be observed and decision-making powers. Risk appetite by risk type is defined so that the equities and other risk buffers available are at an adequate level in view of the risk level of the operations planned. With respect to credit risks, risk appetite depends on various factors, including allocation of operations to the strategic focus areas. The adequacy of equities is assessed regularly by using an internal process. Operational risks pertaining to financial reporting are identified, assessed and controlled as part of operational risk management. The internal reporting system for risk management works at all levels of the Group. The parent company manages risks that have arisen in subsidiaries through ownership steering and by keeping all subsidiaries within the sphere of the risk management practised within the Group. Responsibility for Finnvera’s administration and operations is vested in the General Meeting of Shareholders, the Supervisory Board, the Board of Directors, and the Chief Executive Officer. The General Meeting of Shareholders can make decisions on issues assigned to it by law and the Articles of Association. It elects the members of the Supervisory Board and the Board of Directors, as well as the Chairs and Vice Chairs of both bodies. The Supervisory Board supervises the company’s administration. It gives its opinion on the financial statements and the auditors’ report, and counsels the Board of Directors on issues that concern considerable reduction or expansion of the company’s operations or substantial reorganisation of the company. In addition, the Supervisory Board advises the Board of Directors on matters that have far-reaching consequences or are otherwise important as questions of principle. The Board of Directors is responsible for the company’s administration and for the proper organisation of activities. The Board approves the company’s strategy and annual plans, the half-year reports and the annual financial statements, as well as the risk management principles. The Board advances the company’s development and ensures that the operations conform to law and meet the goals set by the owner. The Board also decides important individual cases of financing. The Board supervises and monitors the company’s executive management and appoints and dismisses the CEO and other members of the senior management. The Board has appointed the Inspection Committee and the Remuneration Committee from among its members to assist the Board in managing its tasks. The Chief Executive Officer is responsible for the company’s operational administration in keeping with the guidelines and regulations issued by the Board of Directors. In management of the tasks specified in the Limited Liability Companies Act, the Chief Executive Officer is assisted by the Management Group and the Corporate Management Team. Read more about Finnvera’s corporate governance and organisation. Finnvera’s Supervisory Board consists of a minimum of eight and a maximum of eighteen members. The General Meeting elects the members as well as the Chairman and Vice Chairman. The Supervisory Board has a term of one year. The fees paid to the members comply with the policy issued by the Government on fees paid to the governing bodies of State-owned companies. The fees paid in 2017 totalled EUR 54,000. Finnvera’s Board of Directors consists of at least six members and at most nine members. The General Meeting elects the members for a term of one year at a time. The Inspection Committee of the Board of Directors assists the Board in its supervisory tasks. The Board of Directors selects the Inspection Committee’s members and chairman from among the Board members, for a term of one year at a time. The Inspection Committee elected after the Annual General Meeting of 2017 consists of Kirsi Komi (Chair), Terhi Järvikare, Pirkko Rantanen-Kervinen and Antti Zitting. The Remuneration Committee assists Finnvera’s Board of Directors in managing issues pertaining to the appointment, terms of employment and salaries of senior executives, and the rewards and incentive systems applied to the management and personnel. The Board of Directors selects the Remuneration Committee’s members and chairman from among the Board members, for a term of one year at a time. The Remuneration Committee elected after the Annual General Meeting of 2017 consists of Pentti Hakkarainen (Chair), Ritva Laukkanen and Pekka Timonen. The fees paid to the Board members comply with the policy issued by the Government on fees paid to the governing bodies of State-owned companies. The fees paid in 2017 totalled EUR 149,800. 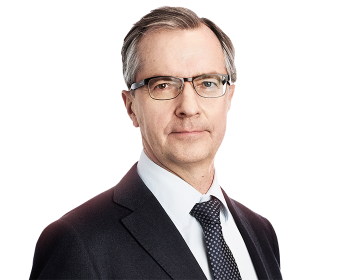 Pentti Hakkarainen has been the Chairman of Finnvera’s Board of Directors since 2017. He is also the Chairman of the Board of Olvi plc. He has worked as Finance Director at Outokumpu Corporation and as CEO both at OKOBANK plc and at Postipankki plc. 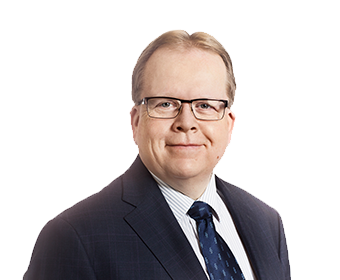 Hakkarainen was Deputy Governor of the Bank of Finland and Chairman of the Board of the Financial Supervisory Authority in 2008–2017. He is a full-time member of the ECB’s Banking Supervisory Board. (1960), First Vice Chairman, LL.D. 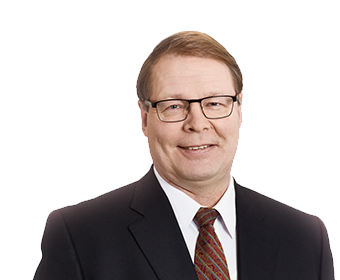 Pekka Timonen has been a member of Finnvera’s Board of Directors since 2013. He was a researcher and teacher at the University of Helsinki in 1984–2001 and served as a senior adviser in ownership steering affairs for the Ministry of Trade and Industry in 2001–2007. He was Director General of the Ownership Steering Department at the Prime Minister’s Office in 2007–2012 and has served as Director General at the Ministry of Economic Affairs and Employment since the start of 2013. 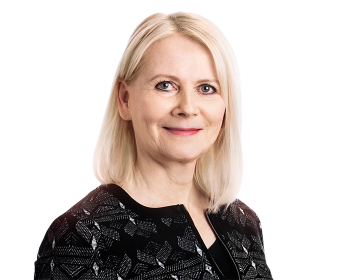 Terhi Järvikare has been a member of Finnvera’s Board of Directors since 2017. She has worked as Director General of the Tax Department of the Ministry of Finance since 2015. In 2012–2015, Järvikare was Director, Taxation at Finland Chamber of Commerce. Before that, she worked in the Ministry of Finance: as a Senior Officer in 1996–2005 and as a Ministerial Adviser in 2005–2012. Kirsi Komi has been a member of Finnvera’s Board of Directors since 2013. She also has a seat on the Boards of the following companies: Humana AB, Metsä Board Corporation, Bittium Corporation, Citycon Oyj, Martela Corporation, Docrates Ltd (Chair) and the Finnish Red Cross Blood Service (Chair). 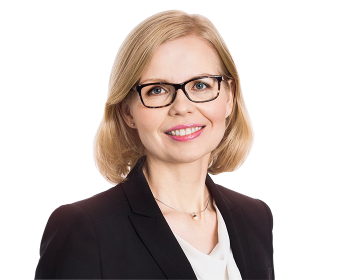 In 2016 Komi chaired the Board of Directors of Veikkaus Ltd, and in 2011–2016 she served as Vice Chair on the Board of Directors of Patria Plc. In 1992–2010, Komi was employed by Nokia Corporation, first as a legal counsel, then as Vice President and Director, Legal Affairs at Nokia Networks, and most recently as Director of Legal Affairs and a member of the Executive Board at Nokia Siemens Networks. 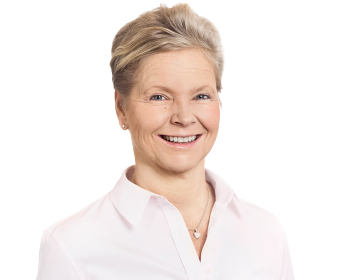 Ritva Laukkanen has been a member of Finnvera’s Board of Directors since 2017. She also chairs the Board of the Finnish Fund for Industrial Cooperation Ltd (Finnfund) and is a member of the Board of AccessHolding AG, Berlin. In 1990–2011, Laukkanen held several executive posts at International Finance Corporation IFC, which is part of the World Bank Group. Before IFC, Laukkanen worked for 10 years in various positions at American Scandinavian Banking Corporation in New York, as a director in corporate lending, for instance. 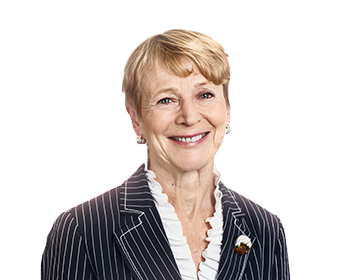 Pirkko Rantanen-Kervinen has been a member of Finnvera’s Board of Directors since 2013. She is also a member of the Board of LocalTapiola Mutual Insurance Company, and she chairs the Board of LocalTapiola Uusimaa. In 1974–2010, Rantanen-Kervinen held various executive posts at Saga Furs Oyj, most recently as CEO. Antti Zitting has been a member of Finnvera’s Board of Directors since 2015. Until 2014 he worked as an entrepreneur in Sacotec Components Oy and serves currently as Chairman of the Boards of the Sacotec companies. Zitting is also a member of the Boards of the following companies and organisations: The Finnish Olympic Committee; Sten&Co Oy Ab; TT Foundation; the Board for the Centenary of Finland’s Independence 2017 – Finland 100, and Plastep Oy. In addition, he chairs the Board of the Technology Industries of Finland Centennial Foundation and the Finnish Basketball Association. The Chief Executive Officer is responsible for the company’s operational administration in keeping with the guidelines and regulations issued by the Board of Directors. In management of the tasks specified in the Limited Liability Companies Act, the Chief Executive Officer is assisted by the Management Group and the Corporate Management Team. The Management Group discusses issues relating to Finnvera’s strategy, the policy outlines for business and client work, and ownership steering. The Management Group comprises the Chief Executive Officer, the Deputy CEO, the Executive Vice Presidents responsible for the financing of SMEs and large corporates, as well as the Senior Vice Presidents for Finance and IT, Legal Affairs and Administration, Corporate Communications and HR, and Risk and Quality Control. The Corporate Management Team discusses matters that have a major impact on Finnvera’s personnel. Besides the members of the Management Group, the Corporate Management Team includeded in 2017 the Managing Directors of Finnvera’s subsidiaries and the representative of Eastern Finland region. The Corporate Management Team also includes representatives of the personnel organisations. Finnvera’s regional organisation changed on 1 April 2017 and now consists of five regions with a total of 15 branch offices. We serve our clients comprehensively throughout Finland. Regional Director Seija Pelkonen, M.Soc.Sc.